A gas pipeline between Mexico and Guatemala is likely to be extended to reach Honduras, helping the Central American country to become more competitive with cheaper energy, Honduran President Juan Hernandez said on Tuesday. Honduras President Juan Orlando Hernandez said the Mexico-Guatemala Gas pipeline project was likely to be extended to reach Honduras. The 600-kilometer (370-mile) $1.2 billion gas pipeline was announced by Guatemala in January 2014. Writing on his Twitter account on Tuesday, Hernandez said the project was likely to be extended to reach Honduras. “I’ve asked for Honduras to be incorporated as a full partner in the Mexico-Guatemala gas pipeline; we’ll sign the agreement on March 13,” he wrote. Hernandez said Honduras would join the pipeline project under the auspices of a Central American plan, known as the “Plan of the Alliance for Prosperity in the Northern Triangle,” which aims to help a region wracked by violence and poverty. A wave of Central American migrants, many of them women and children, flocked to the southern U.S. border last year, overwhelming the border infrastructure and causing a political crisis for U.S. President Barack Obama. The Central American plan was drawn up in response to the crisis, and the White House has since proposed $1 billion in the 2016 fiscal budget for the region. Companies from Russia, China, Spain and the United States are interested in participating in the construction of a pipeline linking Mexico and Guatemala, the Central American nation’s economy minister said Thursday. Sergio de la Torre said he was set to meet later Thursday with representatives of Russian state-controlled energy giant Gazprom, the world’s largest natural gas producer. Investors took part in the Latin America World Business Forum Wednesday in Guatemala City and during their stay in the country plan to present their plans for financing construction of the Guatemalan portion of the conduit. De la Torre also said companies from Guatemala, Mexico, China, Spain and the United States are interested in investing in the project, although he did say which ones. 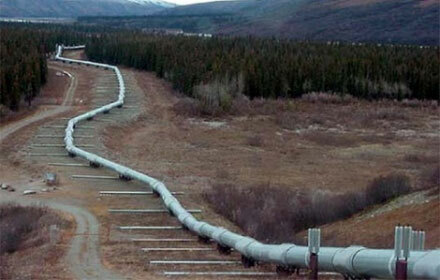 The 600-kilometer (370-mile) bi-national pipeline will cost around $800 million. Guatemalan President Otto Perez Molina and Mexican counterpart Enrique Peña Nieto signed an agreement in April to build the pipeline through a public-private partnership. The gas pipeline will link the Mexican port city of Salina Cruz with the southern Guatemalan coastal province of Escuintla and be overseen by Mexico’s Energy Secretariat and Guatemala’s Energy and Mines Ministry. It will stretch for 180 kilometers (112 miles) on Guatemalan soil and for 420 kilometers (260 miles) on Mexico’s side of the border, although no date has been set for construction to begin. Mexican President signed a series of regional agreements with the leaders of Guatemala and Honduras.